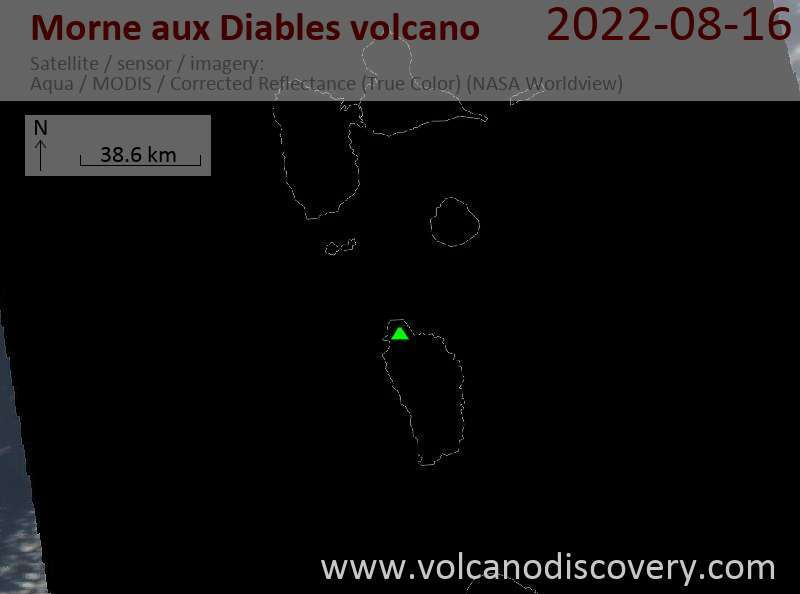 The relatively unknown 861-m-high Morne aux Diables (Devils' Peak) stratovolcano forms the northern tip of the island of Dominica. Several nested craters and a 90-m-high, 335-m-wide lava dome are located within a larger 1.2-km-wide crater. A chain of lava domes, two of which form a peninsula on the SW flank, form an E-W belt across the southern flank of the volcano. Bathymetry shows a double-peaked lava dome (known informally as Twin Peaks) off the northern coast, which is truncated by a 4-km-long fault-bounded cliff. 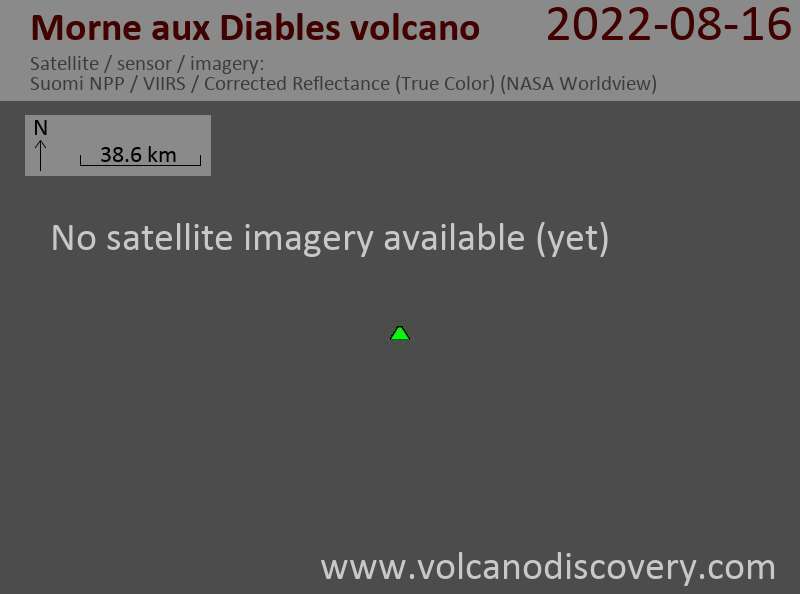 No eruptions are known from Morne aux Diables in historical time, although the volcano has a youthful appearance and activity at flank domes likely continued into the late-Pleistocene and Holocene. The youngest (NW) summit crater contains an active thermal area with bubbling springs. Severe earthquake swarms in 1841 and 1893 were associated with either Morne aux Diables or Morne Diablotins to the south.